Marxism–Leninism is a political ideology combining Marxism (the scientific socialist concepts theorised by Karl Marx and Friedrich Engels) and Leninism (Vladimir Lenin's theoretical expansions of Marxism which include anti-imperialism, democratic centralism, and Vanguardist party-building principles). Marxism–Leninism was the official ideology of the Communist Party of the Soviet Union and of the Communist International (1919–43), making it the guiding ideology of the world communist movement. As such, it is the most prominent ideology associated with communism. The goal of Marxism–Leninism is the development of a state into a political pluralism, the presence of competition between parties, as an ineffective measure of genuine democracy and rather asserts that, in a socialist society, pluralism only measures division and dysfunction within society. The ultimate goal of Marxism–Leninism is the development of socialism into the full realisation of communism, a classless social system with common ownership of the means of production and with full social equality of all members of society. To achieve this goal, the communist party mainly focuses on the intensive development in industry, science and technology, which lay the basis for continual growth of the productive forces and therein increases the flow of material wealth. All land and natural resources are publicly owned and managed through the Marxist–Leninist state, with varying forms of public ownership of social institutions. In recent decades, Marxist–Leninist states have incorporated market methods of exchange and expanded the role played by the non-state sector in developing the national economy, such as China and Vietnam. The phrase "Marxism–Leninism" was introduced by Joseph Stalin in the 1930s to distinguish the new synthesis of Marxism with the theories of Lenin. However, the Communist Party of the Soviet Union retained Marxism–Leninism in its programme after the denunciation of Stalin, thus making a distinction between Marxism–Leninism and "Stalinism". Marxism–Leninism developed into distinctive variations based on its application to unique local historical conditions, the most notable being Stalinism (based on the theory of Socialism in One Country) and Mao Zedong Thought (based on peasant-based revolution in underdeveloped countries). 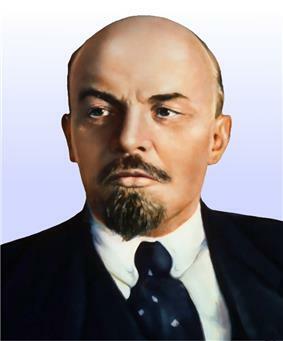 Vladimir Lenin, ideological father of Leninism. Within five years of Vladimir Lenin's death in 1924, Stalin completed his rise to power in the Soviet Union. According to G. Lisichkin, Marxism–Leninism as a separate ideology was compiled by Stalin in his book "The questions of Leninism". During the period of Stalin's rule in the Soviet Union, Marxism–Leninism was proclaimed the official ideology of the state. There is no definite agreement amongst historians regarding whether or not Stalin actually followed the principles established by Karl Marx and Lenin. Trotskyists in particular believe that Stalinism contradicted authentic Marxism and Leninism, and they initially used the term "Bolshevik–Leninism" to describe their own ideology of anti-Stalinist (and later anti-Maoist) communism. Left communists rejected "Marxism–Leninism" as an anti-Marxist current. The term "Marxism–Leninism" is often used by those who believe that Lenin's legacy was successfully carried forward by Joseph Stalin (Stalinists). However, it is also used by some who repudiate the repressive aspects of Stalinism, such as the supporters of Nikita Khrushchev. After the Sino-Soviet split, communist parties of the Soviet Union and the People's Republic of China each claimed to be the sole successor to Marxism–Leninism. In China, the claim that Mao had "adapted Marxism–Leninism to Chinese conditions" evolved into the idea that he had updated it in a fundamental way applying to the world as a whole; consequently, the term "Mao Zedong Thought" (commonly known as Maoism) was increasingly used to describe the official Chinese state ideology as well as the ideological basis of parties around the world who sympathised with the Communist Party of China (such as the Communist Party of the Philippines, founded by Jose Maria Sison in 1968). Following the death of Mao, Peruvian Maoists associated with the Communist Party of Peru (Sendero Luminoso) subsequently coined the term Marxism–Leninism–Maoism, arguing that Maoism was a more advanced stage of Marxism. Following the Sino-Albanian split, a small portion of Marxist–Leninists began to downplay or repudiate the role of Mao Zedong in the International Communist Movement in favour of the Party of Labour of Albania and a stricter adherence to Stalin. In North Korea, Marxism–Leninism was officially superseded in 1977 by Juche, in which concepts of class and class struggle, in other words Marxism itself, play no significant role. However, the government is still sometimes referred to as Marxist–Leninist—or, more commonly, Stalinist—due to its political and economic structure. In the other four de jure socialist states existing today—China, Cuba, Laos, and Vietnam—the ruling Parties hold Marxism–Leninism as their official ideology, although they give it different interpretations in terms of practical policy. Some contemporary communist parties continue to regard Marxism–Leninism as their basic ideology, although many follow Marxism instead. In party names, the appellation "Marxist–Leninist" is normally used by a communist party who wishes to distinguish itself from some other communist party in the same country. Popular confusion abounds concerning the complex terminology describing the various schools of Marxist-derived thought. The appellation "Marxist–Leninist" is often used by those not familiar with communist ideology in any detail (e.g. many newspapers and other media) as a synonym for any kind of Marxism. Marxism–Leninism supports universal social welfare. Improvements in public health and education, provision of child care, provision of state-directed social services, and provision of social benefits are deemed by Marxist–Leninists to help to raise labour productivity and advance a society in development towards a communist society. This is part of Marxist–Leninists' advocacy of promoting and reinforcing the operation of a planned socialist economy. It advocates universal education with a focus on developing the proletariat with knowledge, class consciousness, and understanding the historical development of communism. Marxist–Leninist policy on family law has typically involved: the elimination of the political power of the bourgeoisie, the abolition of private property, and an education that teaches citizens to abide by a disciplined and self-fulfilling lifestyle dictated by the social norms of communism as a means to establish a new social order. Marxism–Leninism supports the emancipation of women and ending the exploitation of women. The advent of a classless society, the abolition of private property, society collectively assuming many of the roles traditionally assigned to mothers and wives, and women becoming integrated into industrial work has been promoted as the means to achieve women's emancipation. Marxist–Leninist cultural policy focuses upon modernisation and distancing society from: the past, the bourgeoisie, and the old intelligentsia. Agitprop and various associations and institutions are used by the Marxist–Leninist state to educate society with the values of communism. 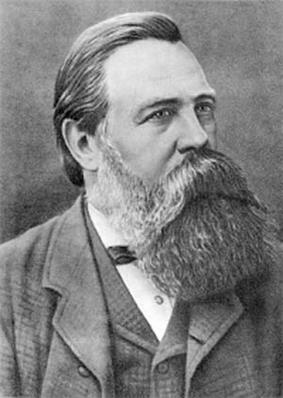 Both cultural and educational policy in Marxist–Leninist states have emphasised the development of a "New Man"—a class conscious, knowledgeable, heroic proletarian person devoted to work and social cohesion as opposed to the antithetic "bourgeois individualist" associated with cultural backwardness and social atomisation. Soviet poster encouraging audience to join a cooperative. The state serves as a safeguard for the ownership and as the coordinator of production through a universal economic plan. For the purpose of reducing waste and increasing efficiency, scientific planning replaces market mechanisms and price mechanisms as the guiding principle of the economy. The Marxist–Leninist state's huge purchasing power replaces the role of market forces, with macroeconomic equilibrium not being achieved through market forces but by economic planning based on scientific assessment. In the socialist economy, the value of a good or service is based on its use value, rather than its cost of production or its exchange value. The profit motive as a driving force for production is replaced by social obligation to fulfil the economic plan. Wages are set and differentiated according to skill and intensity of work. While socially utilised means of production are under public control, personal belongings or property of a personal nature that doesn't involve mass production of goods remains relatively unaffected by the state. 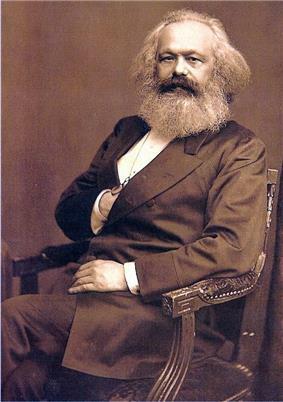 Because Marxism–Leninism has historically only been the state ideology of countries who were economically undeveloped prior to socialist revolution (or whose economies were nearly obliterated by war, such as the German Democratic Republic), the primary goal before achieving full communism was the development of socialism in itself. Such was the case in the Soviet Union, where the economy was largely agrarian and urban industry was in a primitive stage. To develop socialism, the economy went through a period of massive industrialisation, in which much of the peasant population moved into urban areas while those remaining in the rural areas began working in the new collective agricultural system. Since the mid-1930s, Marxism–Leninism has advocated a socialist consumer society based upon egalitarianism, asceticism, and self-sacrifice. Previous attempts to replace the consumer society as derived from capitalism with a non-consumerist society failed and in the mid-1930s permitted a consumer society, a major change from traditional Marxism's anti-market and anti-consumerist theories. These reforms were promoted to encourage materialism and acquisitiveness in order to stimulate economic growth. This pro-consumerist policy has been advanced on the lines of "industrial pragmatism" as it advances economic progress through bolstering industrialisation. The ultimate goal of the Marxist–Leninist economy is the emancipation of the individual from pure communism. Marxism–Leninism supports the creation of a single-party state led by a Marxist–Leninist communist party as a means to develop socialism and then communism. The political structure of the Marxist–Leninist state involves the rule of a communist vanguard party over a revolutionary socialist state that represents the will and rule of the proletariat. Through the policy of democratic centralism, the communist party is the supreme political institution of the Marxist–Leninist state. Elections are held in Marxist–Leninist states for all positions within the legislative structure, municipal councils, national legislatures and presidencies. In most Marxist–Leninist states this has taken the form of directly electing representatives to fill positions, though in some states; such as China, Cuba, and the former Yugoslavia; this system also included indirect elections such as deputies being elected by deputies as the next lower level of government. These elections are not competitive multiparty elections, and most are not multi-candidate elections; usually a single communist party candidate is chosen to run for office in which voters vote either to accept or reject the candidate. Where there have been more than one candidates, all candidates are officially vetted before being able to stand for candidacy, and the system has frequently been structured to give advantage to official candidates over others. Marxism–Leninism asserts that society is united upon common interests represented through the communist party and other institutions of the Marxist–Leninist state, and in Marxist–Leninist states where opposition political parties have been permitted they have not been permitted to advocate political platforms significantly different from the communist party. Marxist–Leninist communist parties have typically exercised close control over the electoral process of such elections, including involvement with nomination, campaigning, and voting – including counting the ballots. Marxism–Leninism aims to create an international communist society. It opposes colonialism and imperialism and advocates decolonisation and anti-colonial forces. It supports anti-fascist international alliances and has advocated the creation of "popular fronts" between communist and non-communist anti-fascists against strong fascist movements. 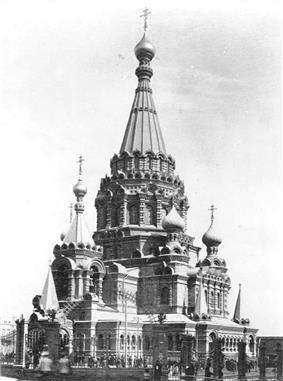 The Russian Orthodox Cathedral, once the most dominant landmark in Baku, was demolished in the 1930s in accordance with Marxist–Leninist atheism. Spirkin's textbook offers a systematic exposition of the foundations of dialectical and historical materialism. The book was awarded a prize at a competition of textbooks for students of higher educational establishments. ^ Marxism–Leninism. The American Heritage Dictionary of the English Language, Fourth Edition. Houghton Mifflin Company. ^ a b c Michael Albert, Robin Hahnel. Socialism today and tomorrow. Boston, Massachusetts, USA: South End Press, 1981. pp. 24–25. ^ Ian Adams. Political ideology today. Manchester England, UK: Manchester University Press, 1993. p. 201. ^ János Kornai. From socialism to capitalism: eight essays. Budapest, Hungary: Central European University Press, 2008. p. 54. ^ М. Б. Митин (M. B. Mitin). Марксизм-ленинизм (in Русский). Яндекс. Retrieved 2010-10-18. ^ a b Pons, p. 721. ^ a b Pons, p. 138. ^ a b Pons, p. 139. ^ a b Pons, p. 140. ^ a b c Pons, p. 731. ^ a b c d e f Pons, p. 306. ^ a b c d e Bottomore, p. 54. ^ a b Ulam, p. 207. ^ a b c Ulam, p. 270. ^ a b Bottomore, p. 98. ^ a b Kevin Anderson. Lenin, Hegel, and Western Marxism: A Critical Study. Chicago, Illinois, USA: University of Illinois Press, 1995. p. 3. ^ Carl Cavanagh Hodge. Encyclopedia of the Age of Imperialism, 1800–1914, Volume 2. Westport, Connecticut, USA: Greenwood Publishing Group, Inc., 2008. p. 415. ^ Ian Frederick William Beckett. 1917: beyond the Western Front. Leiden, The Netherlands: Koninklijke Brill NV, 2009. p. 1. ^ a b c d Lee, p. 37. ^ a b c d e f g h i j Lee, p. 38. ^ a b c Lee, p. 42. ^ a b c d e f g h i Lee, p. 43. ^ a b c d e f g h Lee, p. 49. ^ a b c d e Lee, p. 63. ^ a b c Lee, p. 80. ^ The Cold War: The United States and the Soviet Union, 1917-1991, by Ronald E. Powaski. Oxford University Press, 1997. Cuba has allied itself with the popular radical socialist politics of Bolivarianism, as supported by President Hugo Chávez of Venezuela. Fidel Castro and Chávez formed a common front against American influence and capitalism as a whole. Although no longer professing Marxism–Leninism, Daniel Ortega returned to power in Nicaragua in 2007. In the internal conflict in Peru, the Peruvian government faces opposition from Marxist–Leninist and Maoist militants. In Asia, a number of Marxist–Leninist regimes and powerful movements continue to exist, albeit assimilated into contemporary culture. The People's Republic of China has continued the agenda of Deng's reforms by initiating significant privatisation of the national economy. However, at the same time, no corresponding political liberalisation has occurred, as happened in previous years to Eastern European countries. The Naxalite–Maoist insurgency has continued between the governments of India and Bangladesh against various Marxist–Leninist movements, having been unabated since the 1960s. Maoist rebels in Nepal engaged in a civil war from 1996 to 2006 that managed to topple the monarchy there and create a republic. In the Philippines, the Maoist-oriented Communist Party of the Philippines and its armed wing, the New People's Army, have been waging armed revolution against the existing Philippine government since 1968. Since the fall of the Eastern European communist regimes, the Soviet Union, and a variety of African communist regimes, only a few Marxist–Leninist parties currently remain in power. This short list includes, but is not exactly limited to: China, Cuba, Laos, and Vietnam. Most communist parties outside of these nations have fared relatively poorly in elections. However, the Communist Party of the Russian Federation has remained a significant political force. XVII Congress of the Communist Party of China held in 2007. The Soviet Union itself collapsed between 1990 and 1991, with a rise of secessionist nationalism and a political power dispute between Gorbachev and the new non-communist leader of the Russian Federation, Boris Yeltsin. With the Soviet Union collapsing, Gorbachev prepared the country to become a loose non-communist federation of independent states called the Commonwealth of Independent States. Hardline communist leaders in the military reacted to Gorbachev's policies with the August Coup of 1991 in which hardline communist military leaders overthrew Gorbachev and seized control of the government. This regime only lasted briefly as widespread popular opposition erupted in street protests and refused to submit. Gorbachev was restored to power, but the various Soviet republics were now set for independence. On December 25, 1991, Gorbachev officially announced the dissolution of the Soviet Union, ending the existence of the world's first communist-led state. Unrest and eventual collapse of communism also occurred in Yugoslavia, though for different reasons than those of the Warsaw Pact. The death of Tito in 1980 and the subsequent vacuum of strong leadership allowed the rise of rival ethnic nationalism in the multinational country. The first leader to exploit such nationalism for political purposes was communist official Slobodan Milošević who used it to seize power as President of Serbia, and demanded concessions to Serbia and Serbs by the other republics in the Yugoslav federation. This resulted in a surge of Slovene and Croat nationalism in response and the collapse of the League of Communists of Yugoslavia in 1990, the victory of nationalists in multiparty elections in most of Yugoslavia's constituent republics, and eventually civil war between the various nationalities beginning in 1991. The SFRY was dissolved in 1992. Meanwhile the eastern European communist states politically deteriorated in response to the success of the Polish Solidarity movement and the possibility of Gorbachev-style political liberalisation. In 1989, revolts across Eastern Europe and China against Marxist–Leninist regimes. In China, the government refused to negotiate with student protestors resulting in the Tianamen Square attacks that stopped the revolts by force. The revolts culminated with the revolt in East Germany against the Stalinist regime of Erich Honecker and demands for the Berlin Wall to be torn down. 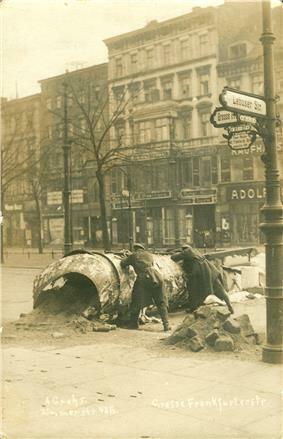 The event in East Germany developed into a popular mass revolt with sections of the Berlin Wall being torn down and East and West Berliners uniting. Gorbachev's refusal to use Soviet forces based in East Germany to suppress the revolt was seen as a sign that the Cold War had ended. Honecker was pressured to resign from office and the new government committed itself to reunification with West Germany. The Stalinist regime of Nicolae Ceaușescu in Romania was forcefully overthrown in 1989 and Ceaușescu was executed. The other Warsaw Pact regimes fell in 1989 with the exception of the Socialist People's Republic of Albania that continued until 1992. Social resistance to the policies of Marxist–Leninist regimes in Eastern Europe accelerated in strength with the rise of the Solidarity, the first non-communist controlled trade union in the Warsaw Pact that was formed in the People's Republic of Poland in 1980. 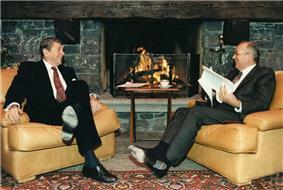 Soviet General Secretary Mikhail Gorbachev in a meeting with US President Ronald Reagan. Gorbachev sought to end the Cold War between the Soviet-led Warsaw Pact and the US-led NATO and other its other Western allies. In 1979, the Soviet Union intervened in Afghanistan to secure the communist regime there, though the act was seen as an invasion by Afghans opposed to Afghanistan's communist regime and by the West. The West responded to the Soviet military actions by boycotting the Moscow Olympics of 1980 and providing clandestine support to the Mujahideen, including Osama bin Laden, as a means to challenge the Soviet Union. The war became a Soviet equivalent of the Vietnam War to the United States – it remained a stalemate throughout the 1980s. A new front of Marxist–Leninist revolution erupted in Africa, with revolutions in Benin, the Republic of the Congo, and Somalia; Marxist–Leninist liberation fronts in Angola and Mozambique revolting against Portuguese colonial rule; the overthrow of Haile Selassie and the creation of the Derg communist military junta in Ethiopia; blacks led by Robert Mugabe in Rhodesia revolting against white-minority rule there. Angola, Benin, the Republic of Congo, Ethiopia, Mozambique, Somalia and Zimbabwe (formerly Rhodesia) all became Marxist–Leninist states between 1969 and 1980. Focus on apartheid white minority rule in South Africa brought tensions between East and West, the Soviet Union officially supported the overthrow of apartheid while the West and the US in particular maintained official neutrality on the matter. The Western position became precarious and condemned after the Soweto uprising in 1976 and the killing of black South African rights activist Steve Biko in 1977. Under US President Jimmy Carter, the West joined the Soviet Union and others in enacting sanctions against weapons trade and weapons-grade material to South Africa. However forceful actions by the US against apartheid South Africa were diminished under US President Ronald Reagan, as the Reagan administration feared the rise of communist revolution in South Africa as had happened in Zimbabwe against white minority rule. Communist regimes were established in Vietnam's neighbour states in 1975, such as in Laos and the creation of the Khmer Rouge regime of Democratic Kampuchea (Cambodia). The Khmer Rouge regime became notorious for the mass genocide of the Cambodian population. The Khmer Rouge was overthrown in 1979 by an invasion by Vietnam that assisted the establishment of a new Marxist–Leninist regime, the People's Republic of Kampuchea, that opposed the policies of the Khmer Rouge. Another major conflict erupted between the East and West in the Cold War in Asia during the Vietnam War. 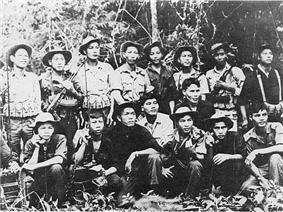 French colonial forces had failed to hold back independence forces led by the communist leader Ho Chi Minh in North Vietnam. French forces retreated from Vietnam and were replaced by American forces supporting a Western-backed client regime in South Vietnam. Despite being a superpower and having a superior arsenal of weapons at its disposal, the United States was unable to make substantial gains against North Vietnam's proxy guerilla army in South Vietnam, the Viet Cong. With the direct intervention of North Vietnam in the South with the Tet Offensive of 1968, US forces suffered heavy losses. The American public turned against the war eventually resulting in a withdrawal of US troops and the seizure of Saigon by communist forces in 1975 and communist victory in Vietnam. Developments of Marxism–Leninism and communist revolution occurred in Asia in this period. The People's Republic of China under Mao Zedong developed its own unique brand of Marxism–Leninism known as Maoism. Tensions erupted between the PRC and the Soviet Union over a number of issues, including border disputes, resulting in the Sino-Soviet split in the 1960s. After the split, the PRC eventually pursued détente with the United States as a means to challenge the Soviet Union. This was inaugurated with the visit of US President Richard Nixon to the PRC in 1972 and the US supporting the PRC replacing the Republic of China as the representative of China at the United Nations and taking its seat at the UN Security Council. The death of Mao eventually saw the Deng Xiaoping politically outmaneuver Mao's chosen successor to power in the People's Republic of China. Deng made controversial economic reforms to the PRC's economy involving effective economic liberalisation under the policy of Socialism with Chinese Characteristics. His reforms helped to gradually transform the PRC into one of the world's fastest growing economies. 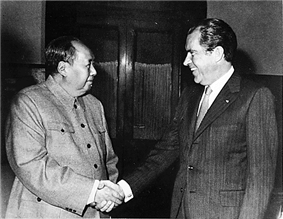 Mao Zedong with US President Richard Nixon. Mao made pragmatic strategic agreements between People's Republic of China (PRC) and the United States that involved both countries' opposing the Soviet Union, combined with the US recognising the PRC as being the legitimate government of China and thus abandoning its previous recognition of the Republic of China based in Taiwan, as being such. Communist revolution erupted in the Americas in this period, including revolutions in Bolivia, Cuba, El Salvador, Grenada, Nicaragua, Peru, and Uruguay. 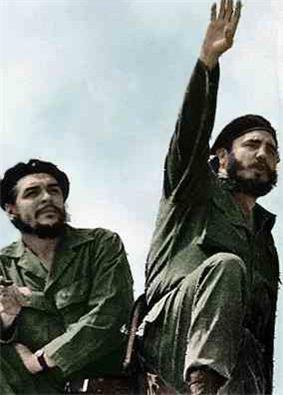 In Cuba in 1959, forces led by Fidel Castro and Argentine revolutionary Che Guevara overthrew the regime of Fulgencio Batista and established a communist regime there with ties to the Soviet Union. American attempts to overthrow the Castro regime with the failed Bay of Pigs invasion by Cuban exiles supported by the CIA failed. Shortly afterwards, a diplomatic dispute erupted when the U.S. discovered Soviet nuclear missiles placed in Cuba, resulting in the Cuban missile crisis. The standoff between the two superpowers was resolved by the Soviet Union agreeing to remove its nuclear missiles from Cuba in exchange for the United States removing its nuclear missiles from Turkey. Bolivia faced Marxist–Leninist revolution in the 1960s that included Che Guevara as a leader until being killed there by government forces. Uruguay faced Marxist–Leninist revolution from the Tupamaros movement from the 1960s to the 1970s. A brief dramatic episode of Marxist–Leninist revolution took place in North America during the October Crisis in the province of Quebec in Canada, where the Marxist–Leninist and Quebec separatist Front de libération du Québec (FLQ) kidnapped the British Trade Commissioner in Canada, James Cross, and Quebec government minister Pierre Laporte who was later killed, it issued a manifesto condemning what it considered English Canadian imperialism in French Quebec calling for an independent, socialist Quebec. The Canadian government in response issued a crackdown on the FLQ and suspended civil liberties in Quebec, forcing the FLQ leadership to flee to exile in Cuba where the Cuban government accepted their entry. Daniel Ortega of the Marxist–Leninist movement called the Sandinista National Liberation Front seized power in Nicaragua in 1979 and faced armed opposition from the Contras supported by the United States. The United States launched military intervention in Grenada to prevent the establishment of a Marxist–Leninist regime there. The Salvadoran Civil War from 1980 to 1992 involved Marxist–Leninist rebels fighting against El Salvador's right-wing government. With the death of Stalin in 1953, Nikita Khrushchev gradually ascended to power in the Soviet Union and announced a radical policy of de-Stalinisation of the Communist Party and the country, condemning Stalin for excesses and tyranny. Gulag forced labour camps were dismantled. Anti-Stalinist figures such as Aleksandr Solzhenitsyn were allowed the freedom to criticise Stalin. The cult of personality associated with Stalin was eliminated. Stalinists were removed from office. Khrushchev ended Stalin's policy of Socialism in One Country and committed the Soviet Union to actively support communist revolution throughout the world. The policies of de-Stalinisation were promoted as an attempt to restore the legacy of Lenin. The death of Stalin, however did not result in the end of the Cold War. The conflict continued and escalated. 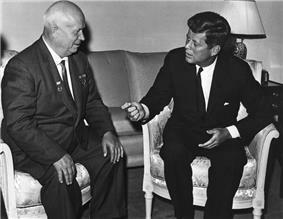 Soviet General Secretary Nikita Khrushchev meeting with United States President John F. Kennedy, June 1961. Khrushchev opposed Stalinism and initiated de-Stalinisation of the Soviet Union, ending the personality cult of Stalin, purging Stalinists from the Communist Party, and increased the level of freedom of expression permitted in the country. 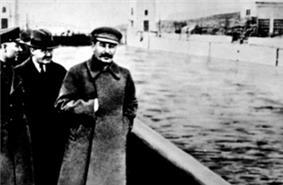 In 1953, Stalin died of a stroke, ending his 29 years of influence and rule over the Soviet Union. Stalin's attempts to enforce submission of its Eastern European allies to the economic and political agenda of the Soviet Union sparked opposition and rejection in Yugoslavia by Tito. Stalin denounced Tito and removed Yugoslavia from the Comintern. Tito in return rejected Stalinism and the Eastern bloc, forging a non-aligned position between East and West that developed into the Non-Aligned Movement and the development of an autonomous Marxist–Leninist ideology of Titoism. 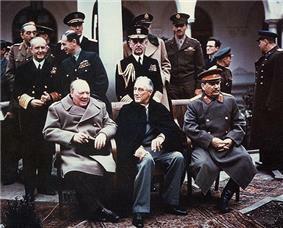 Tensions between the Western Allies and the communist Eastern allies accelerated after the end of World War II, resulting in the Cold War between the Soviet-led communist East and the American-led capitalist West. Key events that began the Cold War included Soviet, Yugoslav, Bulgarian, and Albanian intervention in the Greek Civil War on the side of the communists, and the creation of the Berlin Blockade by the Soviet Union in 1948. China returned to civil war between the Western-backed Kuomintang versus Mao Zedong's Communists supported by the Soviet Union with the Communists seizing control of all of mainland China in 1949, creating the People's Republic of China (PRC). Direct conflict between the East and West erupted in the Korean War, when the United Nations Security Council, with the absence of the Soviet Union at the time of the vote, voted for international intervention in Korea to stop the civil war. The United States and other Western powers used the war to prop up South Korea against Soviet and PRC-backed communist North Korea led by Kim Il-sung. The war ended in armistice and stalemate in 1953. 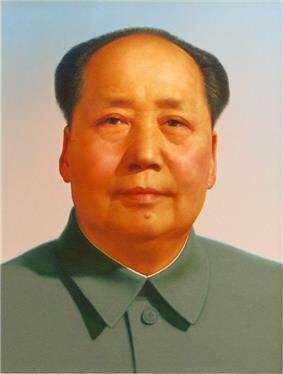 Mao Zedong, head of state of the People's Republic of China (PRC) from 1949 to 1976. 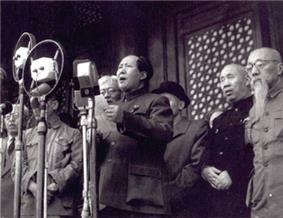 This picture shows Mao declaring the founding of the PRC, October 1, 1949. Soviet forces rebounded in 1943 with the victories at the Battle of Stalingrad and the Battle of Kursk, and from 1943 to 1945 they pushed back German forces and sieged Berlin in 1945. 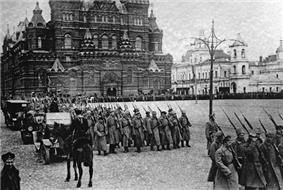 By the end of World War II, the Soviet Union had become a major military superpower. With the collapse of the Axis Powers, Soviet satellite states were established throughout Eastern Europe, creating a large communist bloc of states in Europe. Communist insurrection against Axis occupation took place in several countries. In China, the Communist Party of China led by Mao Zedong reluctantly abandoned the civil war with the Kuomintang and cooperated with it against Japanese occupation forces. In Yugoslavia, the communist Yugoslav Partisans led by Josip Broz Tito, held up an effective guerrilla resistance movement to the Axis occupiers. The Partisans managed to form a communist Yugoslav state called Democratic Federal Yugoslavia in liberated territories in 1943 and by 1944, with the assistance of Soviet forces, seized control of Yugoslavia, entrenching a communist regime in Yugoslavia. British Prime Minister Winston Churchill, U.S. President Franklin D. Roosevelt and Stalin at the Yalta Conference, February 1945. Foreign policy in the Soviet Union from 1929 to 1941 resulted in substantial changes in the Soviet Union's approach to its foreign policy. The rise of Adolf Hitler and the Nazis in Germany in 1933 resulted in the Soviet Union initially terminating the political connections it previously had established with Germany in the 1920s and Stalin turned to accommodate Czechoslovakia and the West against Hitler. The Soviet Union promoted various anti-fascist fronts across Europe and created agreements with France to challenge Germany. With the Suddeten agreement in 1938, Soviet foreign policy reversed, with Stalin abandoning anti-German policies and adopting pro-German policies. In 1939, the Soviet Union and Nazi Germany agreed to both a non-aggression pact and an agreement to invade and partition Poland between them, resulting in the invasion of Poland in September 1939 by Germany and the Soviet Union and the beginning of World War II, with the Allies declaring war on Germany. Social developments in the Soviet Union from 1929 to 1941 included the relinquishment of the relaxed social control and allowance of experimentation under Lenin to Stalin's promotion of a rigid and authoritarian society based upon discipline – mixing traditional Russian values with Stalin's interpretation of Marxism. Organised religion was repressed, especially minority religious groups. Education was transformed, under Lenin, the education system took allowed relaxed discipline in schools that became based upon Marxist theory, but Stalin reversed this in 1934 with a conservative approach taken with the reintroduction of formal learning, the use of examinations and grades, the assertion of full authority of the teacher, and the introduction of school uniforms. Art and culture became strictly regulated under the principles of Socialist Realism, and Russian traditions that Stalin admired were allowed to continue. Economic developments in the Soviet Union from 1929 to 1941 included the acceleration of collectivisation of agriculture. In 1930, 23.6 percent of all agriculture was collectivised; by 1941, 98 percent of all agriculture was collectivised. This process of collectivisation included "dekulakisation", in which kulaks were forced off their land, persecuted, and killed in a wave of terror unleashed by the Soviet state against them. The collectivisation policies resulted in economic disaster with severe fluctuations in grain harvests, catastrophic losses in the number of livestock, a substantial drop in the food consumption of the country's citizens, and the allegedly intentional Holodomor famine in the Ukraine. Modern sources estimate that between 2.4 and 7.5 million Ukrainians died in the Holodomor famine. 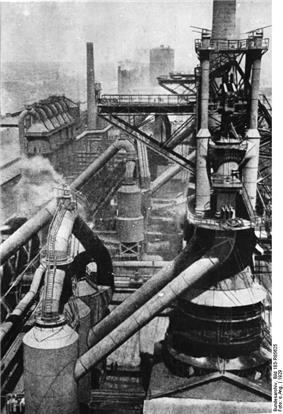 Vast industrialisation was initiated, mostly based on the basis of preparation for an offensive war against the West – with a focus on heavy industry. However, even at its peak, industry of the Soviet Union remained well behind that of the United States. Industrialisation led to a massive urbanisation in the country. Unemployment was virtually eliminated in the country during the 1930s. Industrial area in Magnitogorsk in 1929. The Soviet Union underwent rapid industrialisation in the 1920s and 1930s. Political developments in the Soviet Union from 1929 to 1941 included Stalin dismantling the remaining elements of democracy from the Party by extending his control over its institutions and eliminating any possible rivals. The Party's ranks grew in numbers with the Party modifying its organisation to include more trade unions and factories. In 1936, the Soviet Union adopted a new constitution that ended weighted voting preference for workers as in its previous constitutions, and created universal suffrage for all people over the age of eighteen. The 1936 Constitution also split the Soviets into two legislatures, the Soviet of the Union – representing electoral districts, and the Soviet of the Nationalities – that represented the ethnic makeup of the country as a whole. By 1939, with the exception of Stalin himself, none of the original Bolsheviks of the October Revolution of 1917 remained in the Party. Unquestioning loyalty to Stalin was expected by the regime of all citizens. 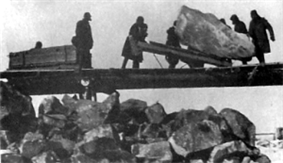 In the original version of this photo (top), Nikolai Yezhov is shown with Voroshilov, Molotov, and Stalin inspecting the White Sea Canal. The later version (bottom) was altered by censors after Yezhov was executed during the Great Purge, removing all trace of his presence. Stalin's regime was a totalitarian state under his dictatorship. 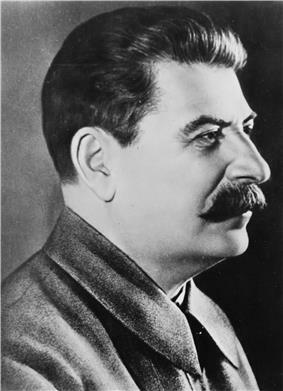 Stalin exercised extensive personal control over the Communist Party and unleashed an unprecedented level of violence to eliminate any potential threat to his regime. While Stalin exercised major control over political initiatives, their implementation was in the control of localities, often with local leaders interpreting the policies in a way that served themselves best. This abuse of power by local leaders exacerbated the violent purges and terror campaigns carried out by Stalin against members of the Party deemed to be traitors. Stalin unleashed the Great Terror campaign against alleged "socially dangerous" and "counterrevolutionary" persons that resulted in the Great Purge of 1936–1938 during which 1.5 million people were arrested from 1937–1938 and 681,692 of those were executed. The Stalinist era saw the introduction of a system of forced labour of convicts and political dissidents, the Gulag system, of that created in the early 1930s. In 1929, Stalin seized control of the Party. Upon Stalin attaining power, Bolshevism became associated with Stalinism, whose policies included: rapid industrialisation, Socialism in One Country, a centralised state, the collectivisation of agriculture, and the subordination of interests of other communist parties to those of the Soviet party. In 1929, he enacted harsh radical policy towards the wealthy peasantry (Kulaks) and turned against Bukharin, Rykov, and Tomsky, who favoured a more moderate approach to the Kulaks. He accused them of plotting against the Party's agreed strategy and forced them to resign from the Politburo and political office. Trotsky was exiled from the Soviet Union in 1929. Opposition to Stalin by Trotsky led to a dissident Bolshevik ideology called Trotskyism that was repressed under Stalin's rule. From 1925 to 1927, Stalin abandoned his triumvirate with Kamenev and Zinoviev and formed an alliance with the most right-wing elements of the party, Nikolai Bukharin, Alexei Rykov, and Mikhail Tomsky. The 1927 Party Conference gave official endorsement to the policy of Socialism in One Country, while Trotsky along with Kamenev and Zinoviev (both now allied with Trotsky against Stalin) were expelled from the Party's Politburo. As Lenin neared death after suffering strokes, he declared in his testament of December 1922 an order to remove Joseph Stalin from his post as General Secretary and replace him by "some other person who is superior to Stalin only in one respect, namely, in being more tolerant, more loyal, more polite and more attentive to comrades". When Lenin died in January 1924, the testament was read out to a meeting of the party's Central Committee. 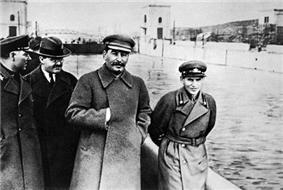 However, party members believed that Stalin had improved his reputation in 1923 and ignored Lenin's order. 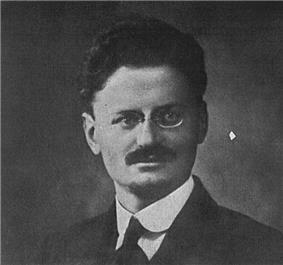 Lev Kamenev and Grigory Zinoviev believed that the real threat to the party came from Trotsky, head of the Red Army, due to his association with the army and his powerful personality. Kamenev and Zinoviev collaborated with Stalin in a power-sharing triumvirate where Stalin retained his position as General Secretary. The confrontation between the triumvirate and Trotsky began over the debate between the policy of Permanent Revolution as advocated by Trotsky and Socialism in One Country as advocated by Stalin. Trotsky's Permanent Revolution advocated rapid industrialisation, elimination of private farming, and having the Soviet Union promote the spread of communist revolution abroad. Stalin's Socialism in One Country stressed moderation and development of positive relations between the Soviet Union and other countries to increase trade and foreign investment. Stalin was not particularly committed to these positions, but used them as a means to isolate Trotsky. In 1925, Stalin's policy won the support of the 14th Party Congress while Trotsky was defeated. The New Economic Policy was started in 1921 as a backwards step from war communism, with the restoration of a degree of capitalism and private enterprise. 91 percent of industrial enterprises were returned to private ownership or trusts. Importantly, Lenin declared that the development of socialism would not be able to be pursued in the manner originally thought by Marxists. Lenin stated "Our poverty is so great that we cannot at one stroke restore full-scale factory, state, socialist production". A key aspect that affected the Bolshevik regime was the backward economic conditions in Russia that were considered unfavourable to orthodox Marxist theory of communist revolution. Orthodox Marxists claimed at the time that Russia was ripe for the development of capitalism, not yet for socialism. Lenin advocated the need of the development of a large corps of technical intelligentsia to assist the industrial development of Russia and thus advance the Marxist economic stages of development, as it had too few technical experts at the time. The New Economic Policy was tumultuous; economic recovery took place but alongside famine (1921–1922) and a financial crisis (1924). However by 1924, considerable economic progress had been achieved and by 1926 the economy regained its 1913 production level. Initial Bolshevik economic policies from 1917 to 1918 were cautious with limited nationalisations of private property. Lenin was immediately committed to avoid antagonising the peasantry by making efforts to coax them away from the Socialist Revolutionaries, allowing a peasant takeover of nobles' estates while no immediate nationalisations were enacted on peasants' property. Beginning in mid-1918, the Bolshevik regime enacted what is known as "war communism", an economic policy that aimed to replace the free market with state control over all means of production and distribution. This was done through the Decree on Nationalisation that declared the nationalisation of all large-scale private enterprises while requisitioning grain away from peasants and providing it to workers in cities and Red soldiers fighting the Whites. The result was economic chaos as the monetary economy collapsed and was replaced by barter and black marketeering. The requisitioning of grain away from the peasantry to workers resulted in peasants losing incentive to labour, resulting in a drop in production, producing a food shortage crisis in the cities that provoked strikes and riots that seriously challenged the Bolshevik regime, with the most serious being the Kronstadt Revolt of 1921. The entrenchment of Bolshevik power began in 1918 with the expulsion of Mensheviks and Socialist Revolutionaries from the workers' soviets. The Bolshevik government established the Cheka, a secret police force dedicated to confronting anti-Bolshevik elements. The Cheka was the predecessor to the NKVD and the KGB. Initially, opposition to the Bolshevik regime was strong as a response to Russia's poor economic conditions, with the Cheka reporting no less than 118 uprisings, including the Kronstadt Revolt. Lenin repressed opposition political parties. 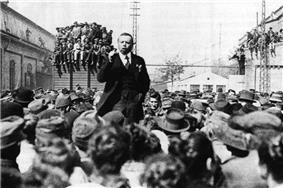 Intense political struggle continued until 1922. In response to the October Revolution, communist revolution broke out in Germany and Hungary from 1918 to 1920, involving creation of the Bavarian Soviet Republic, the failed Spartacist uprising in Berlin in 1919, and the creation of the Hungarian Soviet Republic. These communist forces were soon crushed by anti-communist forces and attempts to create an international communist revolution failed. However, a successful communist revolution occurred in Mongolia in 1924, resulting in the creation of the Mongolian People's Republic. In March 1917, Tsar Nicholas II abdicated his throne and a provisional government quickly filled the vacuum, proclaiming Russia a republic months later. This was followed by the October Revolution by the Bolsheviks, who seized control in a quick coup d'état against the Provisional Government, resulting in the formation of the Russian Soviet Federative Socialist Republic (RSFSR), the first country in history committed to the establishment of communism. However, large portions of Russia were held under the leadership of either pro-Tsarist or anti-communist military commanders who formed the White movement to oppose the Bolsheviks, resulting in civil war between the Bolsheviks' Red Army and the anti-Bolshevik White Army. Amidst civil war between the Reds and the Whites, the RSFSR inherited the war that the Russian Empire was fighting against Germany that was ended a year later with an armistice. However, that was followed by a brief Allied military intervention by the United Kingdom, the United States, France, Italy, Japan and others against the Bolsheviks. At the outset of World War I in 1914, the Bolsheviks opposed the war unlike most other socialist parties across Europe that supported their national governments. 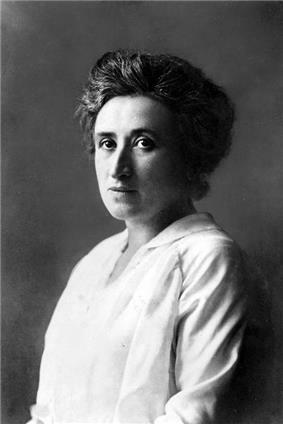 Lenin and a small group of anti-war socialist leaders, including Rosa Luxemburg and Karl Liebknecht, denounced established socialist leaders of having betrayed the socialist ideal via their support of the war. In response to the outbreak of World War I, Lenin wrote his book Imperialism, the Highest Stage of Capitalism from 1915 to 1916 and published in 1917 in which he argued that capitalism directly leads to imperialism. As a means to destabilise Russia on the Eastern Front, Germany's High Command allowed Lenin to travel across Germany and German-held territory into Russia in April 1917, anticipating him partaking in revolutionary activity. In the aftermath of the failed revolution of 1905–7, Bolshevik revolutionaries were forced back into exile in 1908 in Switzerland as well as other anti-Tsarist revolutionaries including the Mensheviks, the Socialist Revolutionaries, and anarchists. Membership in both the Bolshevik and Menshevik ranks diminished from 1907 to 1908 and the number of people taking part in strikes in 1907 was 26 percent of the figure during the year of the revolution in 1905, it dropped in 1908 to 6 percent of that figure, and in 1910 it was 2 percent of that figure. The period of 1908 to 1917 was one of dissillusionment in the Bolshevik party over Lenin's leadership, with members opposing him for scandals involving his expropriations and methods of raising money for the party. One important development after the events the 1905-7 revolution was Lenin's endorsement of colonial revolt as a powerful reenforcement to revolution in Europe. This was an original development by Lenin, as prior to the 20th century Marxists did not pay serious attention to colonialism and colonial revolt. Facing leadership challenges from the "Forward" group, Lenin usurped the all-Party Congress of the RSDLP in 1912, to seize control of it and make it an exclusively Bolshevik party loyal to his leadership. Almost all the members elected to the party's Central Committee were Leninists while former RDSLP leaders not associated with Bolshevism were removed from office. 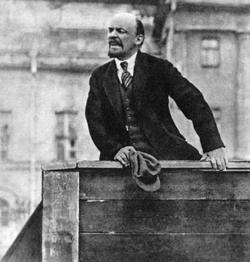 Lenin remained highly unpopular in the early 1910s, and was so unpopular amongst international socialist movement that by 1914 it considered censoring him. Lenin attempted and failed to bring about communist revolution in Russia in the Russian manipulation of aroused masses. Marxism–Leninism was created after Lenin's death during the regime of Josef Stalin in the Soviet Union, but continued to be the official ideology of the Soviet Communist Party after de-Stalinisation. However the basis for elements of Marxism–Leninism predate this. Marxism–Leninism descends from the Bolshevik ("Majority") faction of the Russian Social Democratic Labour Party (RSDLP) that was founded in the RSDLP's Second Congress in 1903. The Bolshevik faction led by Lenin advocated an active, politically committed vanguard party membership while opposing trade union based membership of social democratic parties. The Bolsheviks supported a vanguard Marxist party composed of active militants committed to socialism who would initiate communist revolution. The Bolsheviks advocated the policy of democratic centralism that would allow members to elect their leaders and decide policy but that once policy was set, members would be obligated to have complete loyalty in their leaders. 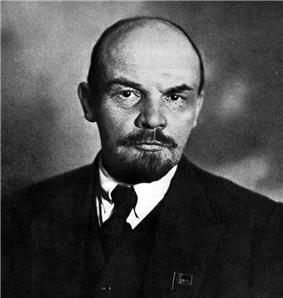 Vladimir Lenin, leader of both the RSFSR and the Soviet Union from 1917 to 1924, was one of the most influential figures of the 20th Century.